Offering Welding Blanket & Welding Curtains. 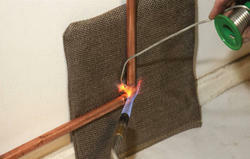 Welding blankets made out of ceramic non asbestos fibers with SS wire impregnations suitable for on site welding. can withstand temperatures upto 1000 deg C.
Can be customized to meet suitable sizes. (Without metal frame). 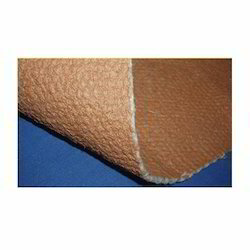 For other temperature rated fabrics please inquire. YOGDEEP offer Asbestos Fire Welding Blankets.